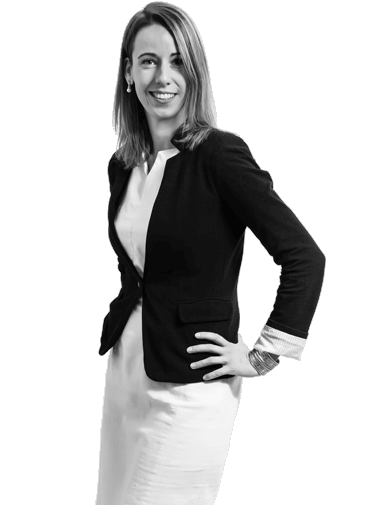 Kateřina is an expert in family law on both national and international level. She represents her clients in childcare issues and child support claims, divorce proceedings or dissolution of registered partnership, determination of paternity. She also negotiates settlement of community property of spouses and provides professsional help with drafting prenuptial agreements. She is capable of handling difficult negotiations in sensitive family issues. We will be glad to assist you in more pleasant situations. If you wish to get married or enter into a registered partnership and you do not know what documents must be submitted for this purpose; how to arrange for recognition in the Czech Republic of a marriage or registered partnership solemnised abroad; have questions regarding other legal aspects of marriage or registered partnership, do not hesitate and contact us. We deal with divorces, whether agreed divorces or contentious divorces, i.e. divorces where spouses are not able to agree. In the latter case, a matter of course is settlement of community property, whether by way of an agreement or through an action filed at court. We also have considerable experience in the field of maintenance obligations between spouses or divorced spouses. We will be glad to assist you also with dissolution of registered partnership. Concerning either divorce or dissolution of registered partnership, we will be glad to help you in this difficult moment so that the situation can be resolved as soon as possible. We deal with childcare, maintenance, support, and contacts with the child. We have a great deal of experience with this. The best for all is parental agreement, but not in all situations is this possible – so we are ready to represent you at the court and immediately initiate appropriate legal steps so that the situation can be resolved as soon as possible and in the best interest of the child who has the right to both the parents. We know how to proceed: it is necessary to act as fast as possible and to use all possibilities which the legal order provides to us. Therefore, do not hesitate and contact us, rather than waiting until the situation is fully escalated. We know what it is like to lose a child. We have experience with international child abductions from Czech Republic or to the Czech Republic. We are also well acquainted with the European regulation and Hague Convention on the Civil Aspects of International Child Abduction of 25 October 1980.